Today is our first blogiversary, and this is our 150th post, so you know what that means: IT’S SESQUICEBLOGGIAL TIME! Sesquicewhatial? 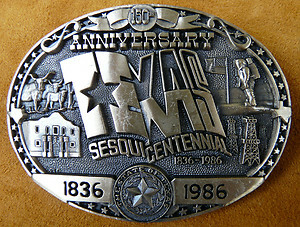 Well, back in 1986, Texas celebrated its sesquicentennial–its 150th anniversary of just plain being Texas, first as its own country and then as a state. My Texan grandmother spoke of little else for the 18 months leading up to and encompassing the year in question. IT WAS A BIG OL’ DEAL! It made quite an impression on my young and vulnerable mind (apparently). So at the intersection of one year and 150 posts, here’s a look back at a year of D’oh (and what’s next). Quest for the Elusive Storage Bed…which reminds me, I need to do a Final Verdict on the new bed now that we’ve been sleeping in it for a while. 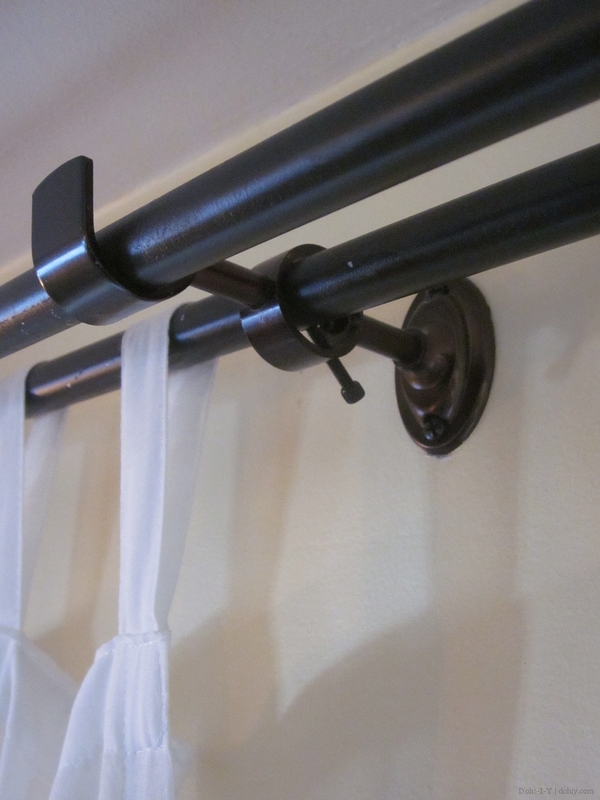 Double Curtain Rods at a Fifth the Price…with thanks to House of Hepworths for putting me onto the underlying idea). 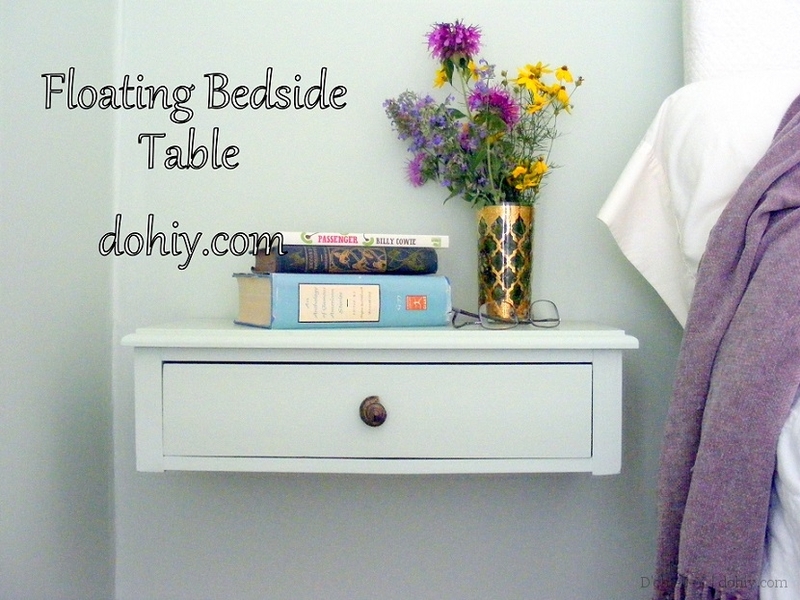 Before and After: End Table to Floating Nightstand…an idea you often see in magazine photos, but not often with a tutorial; hope this one helped some of y’all out. 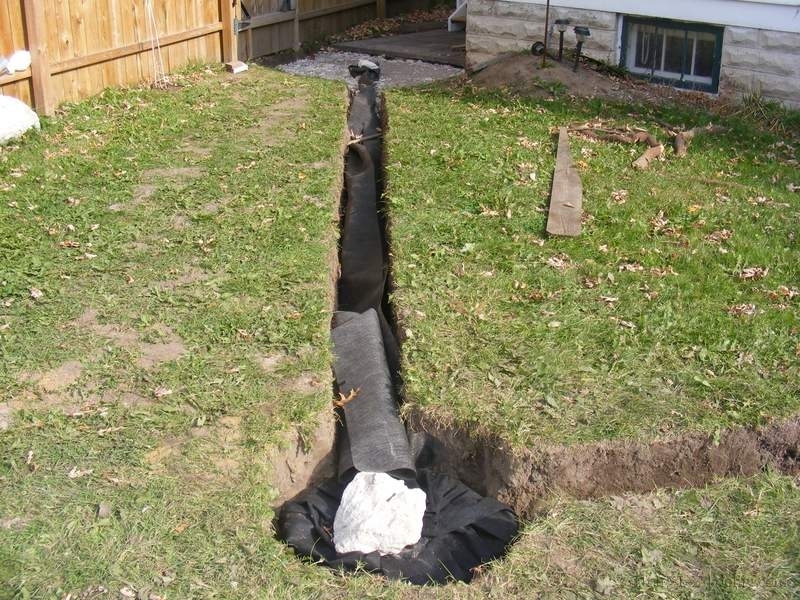 Dry Wells: Everything You Ever Wanted in a Well, And Less…turns out, we weren’t the only folks with drainage issues! The Kev’s instructions on how to install a dry well bring readers every day. But our favorite posts are not the most trafficked. One thing we love about sharing the blog is writing posts that we know will make each other laugh (if no one else). When I asked the Kev for his personal favorite of our posts, I was delighted that he was thinking of the same one I was: This-n-That. 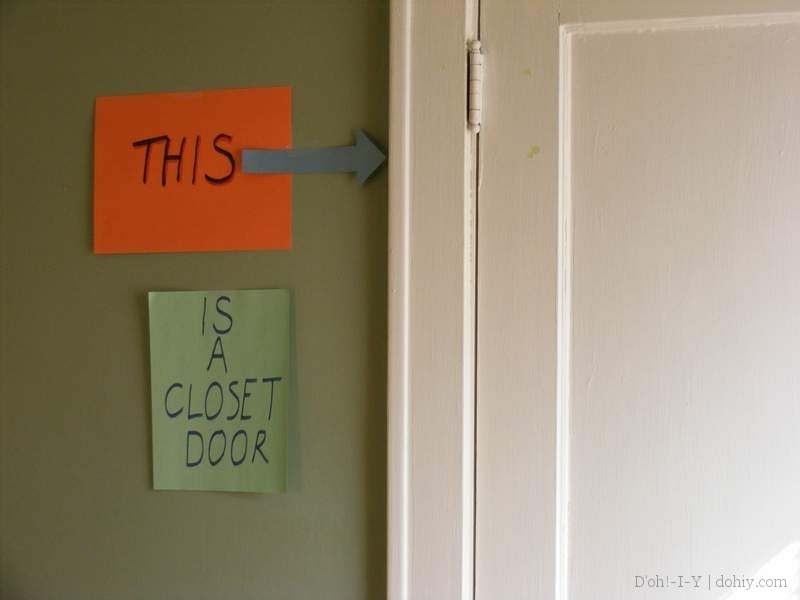 Kev put that post together one day when I was out, and when he showed it to me, it cracked me up — the old-school signage with the Tab A/Slot B descriptions just fractured me. That post got almost no views, and there’s no reason it should have done — it’s got no search terms to speak of. But it’s like this blog — we just enjoy it so much. Keep DIYing. Keep blogging. Keep being completely amused by the concept of blogging about DIY. That’s the plan! Thanks for coming around and hanging out with us. The more the merrier! 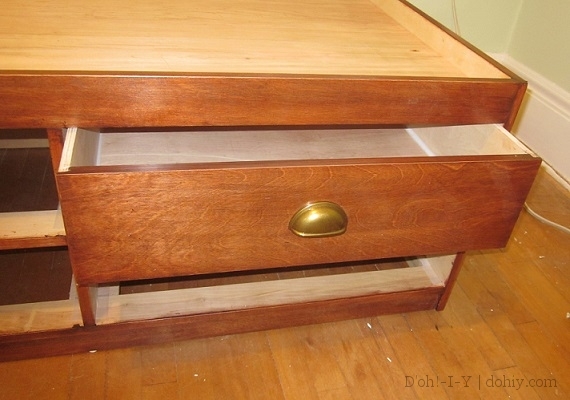 This entry was posted in D'oh!, Romance and tagged blog retrospective, diy blog, home improvement blog. Bookmark the permalink. 2 Responses to A Sesquicebloggial Special! Congratulations! Here’s to your next year of diy and blogging! We’ll have a celebratory glass of something sparkly for you!